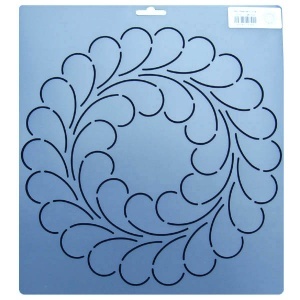 Large circular quilting stencil in a feathery design, perfect for a quilt centrepiece. 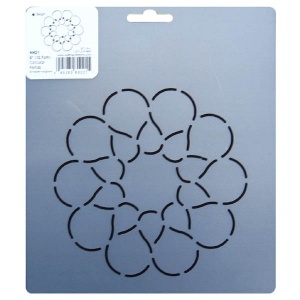 The diameter of the stencil design is 10.5 inches - the measurement is taken across the width of the design, not the full width of the plastic. 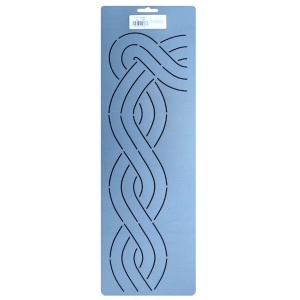 Large cable border design quilting stencil including a corner piece so it can continue all the way around the border with no breaks. 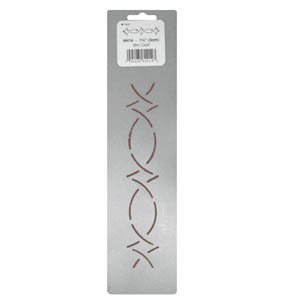 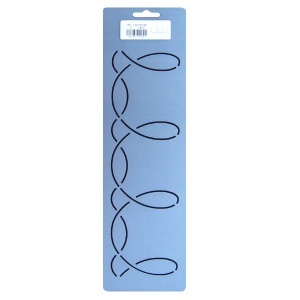 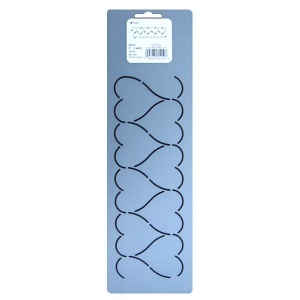 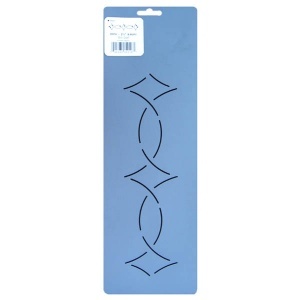 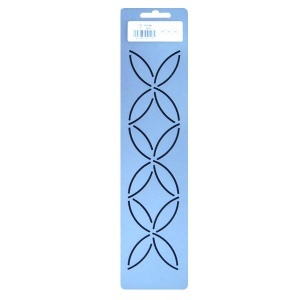 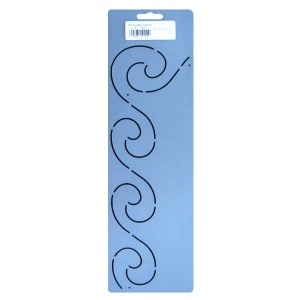 The cable measures 3.5 inches wide and the design can be extended lengthwise as required - measurements are taken across the width of the stencil design, not the full width of the plastic. 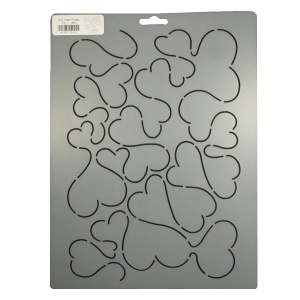 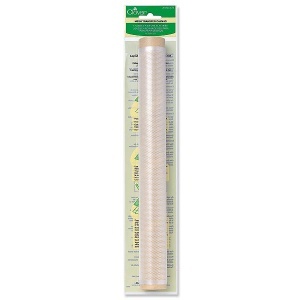 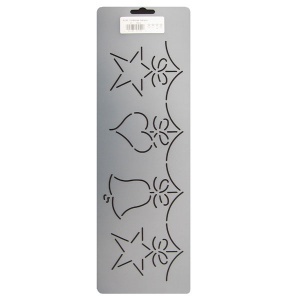 Quilting stencils are the ideal tool to help mark out interesting and decorative quilting designs on your quilt tops. 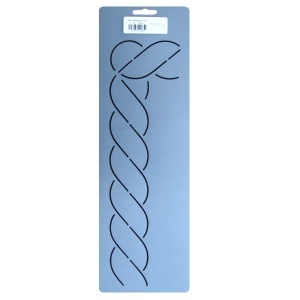 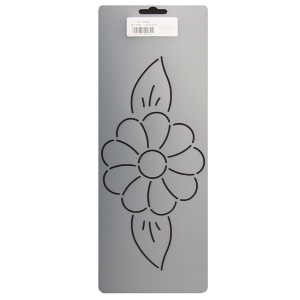 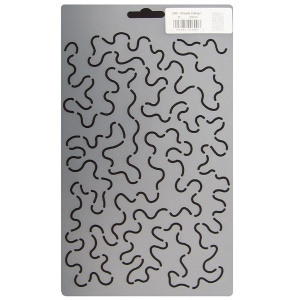 All our quilt stencils are made from hard wearing plastic with channels cut our to enable you to mark the design onto the fabric using a marker, and they come in a variety of continuous and extendable designs. 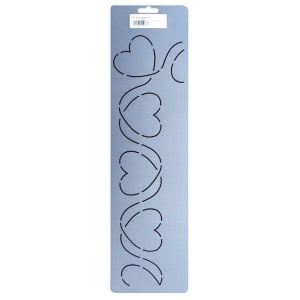 If you find free motion quilting difficult we have the stipple design stencil to help guide you, or the heart puzzle is an alternative all over design for when you drop the feed dogs! 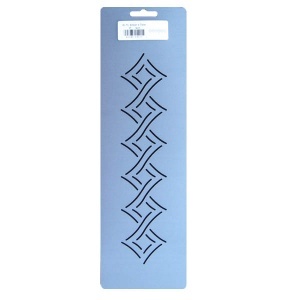 A plain quilt border can be brought to life by using a border stencil - many of our border stencils include the corner piece, and most can be sewn using continuous machine quilting (although they can also be hand quilted). 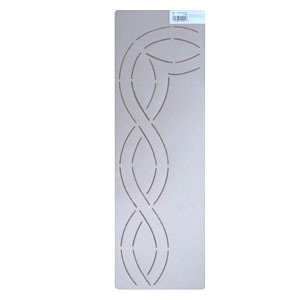 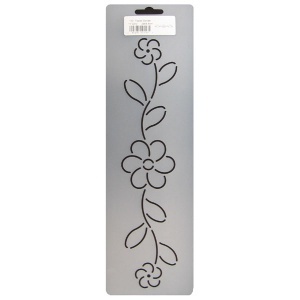 We also have a variety of large and small block stencils ideal for centre pieces, repeated blocks or corner blocks. 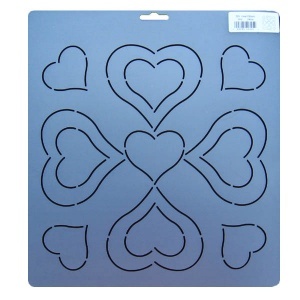 Please click on a quilting stencil for more details about the size and design.